Jan system, Lonetrek region. On the 26th of January at 21:45 EVE Standard Time, forces belonging to Circle-Of-Two [CO2] clashed with Project.Mayhem. [16-13] and allies over a tower in the system. The two sides fought over a Circle-Of-Two tower which Project.Mayhem. had reinforced previously, the two sides forming for another clash in a long series of battles between them. Circle-Of-Two formed a 120 pilot Machariel battleship fleet, arriving to the system first and setting up on the Nalvula gate, Project.Mayhem.’s most probable point of entry into the system, at optimal range. Project.Mayhem. and Snuffed Out [B B C] assembled a Machariel fleet of their own, reaching 80 pilots. The force however was split due to different staging systems, with Snuffed Out forces joining the fight only after it began, bridged in by Project.Mayhem. who warped their force to the Jan gate and jumped in. Once the fleet was in the system it anchored up, exchanging fire with the Circle-Of-Two fleet and starting the battle proper. As the fighting started, Snuffed Out forces were quickly bridged on grid and linked with their allies, the two sides exchanging deadly auto-cannon volleys. However as time went on the electronic warfare on the Circle-Of-Two side managed to jam and disrupt the logistics wing of the allied Machariel fleet. In rapid succession Guardian logistics cruisers were destroyed, followed quickly by Machariel battleships. At the same time, allies for Project.Mayhem. arrived on the field. Mercenary Coalition [MC] and The OSS [OSS]\Hax. [HAX.] fleets entered the system. Both entities were informed of the timer and brought an Ishtar heavy assault cruiser fleet and a Cerberus heavy assault cruiser fleet respectively. The two fleets were estimated at 35-40 pilots each. The allied forces focused mainly on support and logistics wings of the Circle-Of-Two Machariel fleet, maintaining distance for the most part and acting independently of the Machariel fleet. The Machariel fleet however, was losing mainline ships with its logistics wing in tatters. In order to stabilize the fleet, a cynosural beacon was lit and two triage carriers brought to the field. This turned out to be only a temporary fix, as the Circle-Of-Two fleet managed to remove the two carriers without much trouble, putting the Machariel fleet back in danger of complete annihilation. Realizing their situation was dire, the fleet commanders ordered a retreat, with parts of the fleet docking up in the Jan system while others managed to jump back to the Nalvula system and withdrew to the stations there. With the enemy Machariel fleet gone, the Circle-Of-Two forces concentrated on the Ishtar and Cerberus fleets, quickly pushing them away. Seeing the battle as won by Circle-Of-Two, the Mercenary Coalition Ishtar fleet quickly retreated from the system, having sustained some losses due to bad positioning. The joint Cerberus fleet continued however, to loiter in the system. After a short break, the Machariel fleet decided to replace its losses and attempt to fight again, jumping once more into the Jan system and meeting the Circle-Of-Two fleet on the gate head on. Again, the logistics wing of the joint fleet suffered greatly by the hands of the Circle-Of-Two’s support wing, especially the many energy neutralizing battleships it had. Unable to sustain the repairs though managing to trade battleships, the joint fleet decided to once again withdraw back to Nalvula. Having won the field, the Circle-Of-Two fleet elected not to repair the tower, instead extracting safely to its staging system. This allowed Project.Mayhem. and allies to remove the tower, though choosing not to deploy their own tower instead and leaving the moon for Circle-Of-Two to later reclaim. With this hostilities in the system came to an end. Battle report for the Jan system can be found here. All told the battle lasted 30 minutes with various breaks and Time Dilation not reported as a major issue. Local count is estimated at approximately 300 pilots at the peak of the fighting. Circle-Of-Two lost 17 ships in the battle, including 3 battleships for a total of 2.18 billion ISK damage. Project.Mayhem. 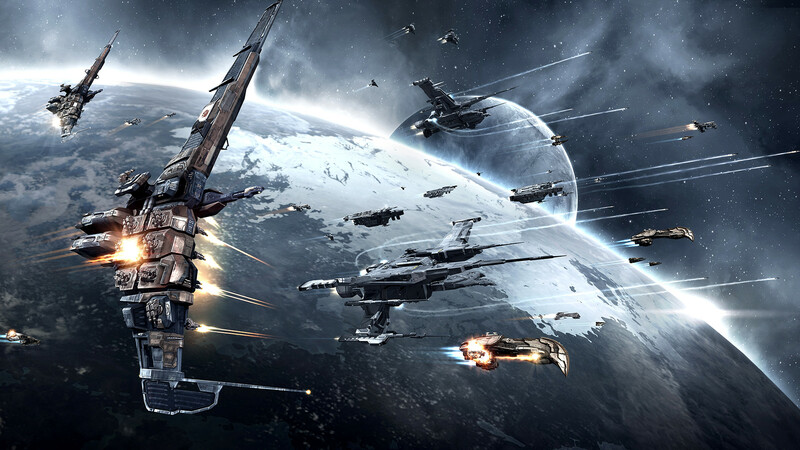 and Snuffed Out lost 25 ships, including 2 carriers and 12 battleships for a total of 22.46 billion ISK damage. The other fleets present lost 19 ships in total, including 13 heavy assault cruisers for a total of 3.82 billion ISK damage. submit my comment didn’t show up. Grrrr… well I’m not writing all that over again. Anyway, just wanted to say wonderful blog!